In this tutorial, you will learn how to build your own map using RPLIDER sensor attached to your RIA-E100. Make sure that you already made the tutorial on demo-apps. First, you need to start the robot drivers and then start the ROS node responsible for building the map. It has to be noted that to build a map ROS uses the gmapping or hector software packages, that is fully integrated with ROS. The gmapping and hector packages contains a ROS wrapper for OpenSlam’s Gmapping. 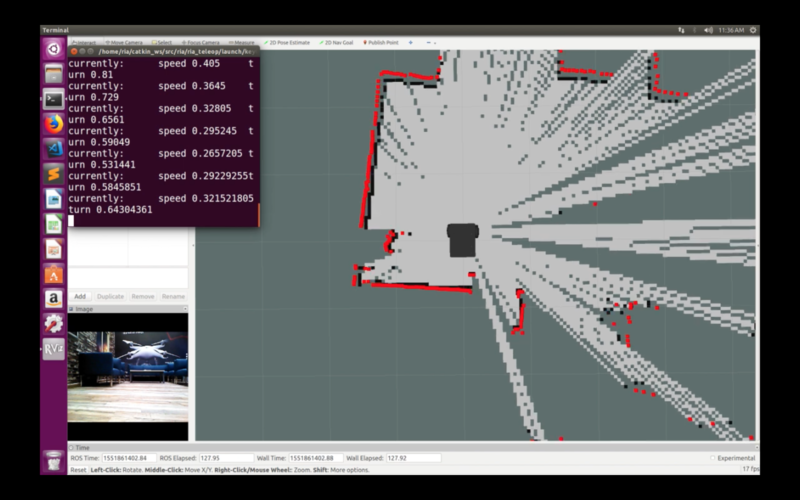 The packages provide laser-based SLAM (Simultaneous Localization and Mapping), as a ROS node called slam_gmapping and slam_hector. 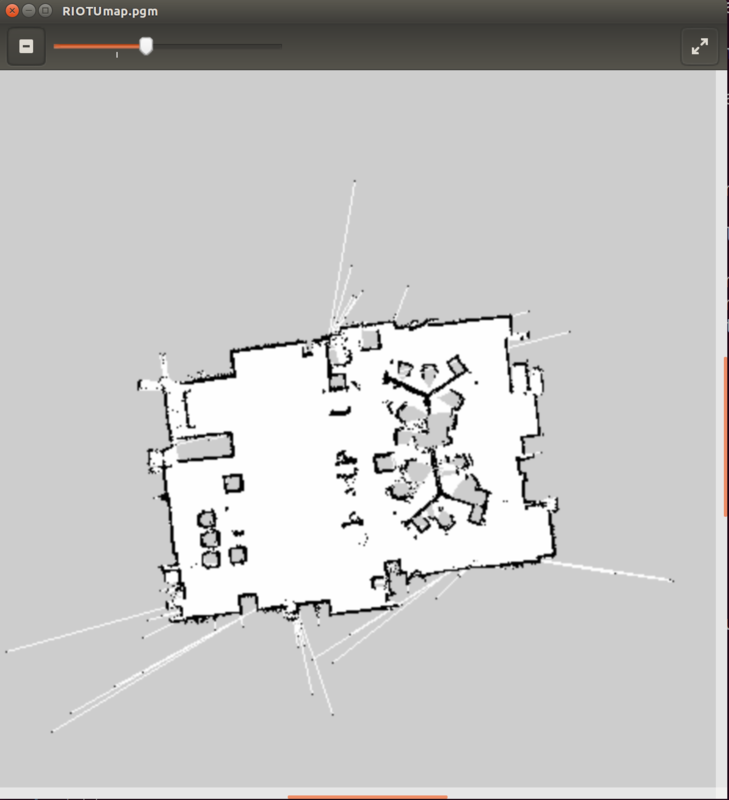 Using slam_gmapping or slam_hector, you can create a 2-D occupancy grid map (like a building floorplan) from laser and pose data collected by a mobile robot. If you execute the following command on your workstation (recommended), you must make sure to have correctly set-up the network configuration as explained in demo-apps. It is not recommended to start description launch file on the robot machine as rviz may overload the robot. You can observe it sets some parameters to their default values and specifies that the scan topic is refered to as /scan. Then, it will start the slam_hector.launch that contains the specific parameters of the hector SLAM algorithm (parameters of the particle filter) that is responsible for building the map. When building a map with a RIA-E100 it is possible to get a good or bad map depending on several factors. First of all, make sure that your RIA-E100 robot and its laptop have full batteries before starting the mapping tasks. In fact, gmapping and rviz both consume alot of power resources. The quality of the generated map greatly depends on quality of range sensors and odometry sensors. For the RIA-E100, it has RPLIDER with 8 meters of range, and 360 degree of laser beam angle, which make it appropriate for scanning large and open space environments.